If you’re a regular reader of my posts, you could be forgiven for thinking I’ve got a bit of a downer on clients. I’ve written about how to let a difficult client go, what do do when your client gets angry, and freelancing mistakes including picking the wrong clients. But the truth is, I love my clients. Without them, I wouldn’t have a business. 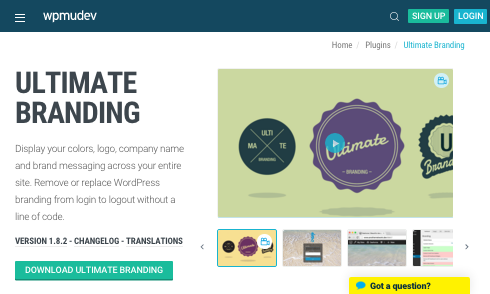 I wouldn’t have the opportunity to take on new and exciting projects, and develop my WordPress skills. And I wouldn’t have the satisfaction of seeing their businesses grow and playing a part in that by supporting their website. Clients give you the opportunity to forge relationships with non-technical people, and learn from their perspective. Clients provide you with projects which can help you develop your skills and explore new techniques. Clients give you feedback on how effective your work is, which helps you get better. Clients can become friends or valued colleagues, and prevent you becoming isolated at work, especially if you work on your own as a freelancer. And yes, clients pay the bills. I’ve spent the past five-and-a-half years working with clients and developing relationships with them, and before I set up my own business I was on the other side of the fence: I managed contractors and spent much of my time developing the relationships with them. I’ve learned that if you take the time and effort to build great relationships with your clients, then your work will be better, the impact on their business will improve, and you’ll enjoy your job more. Not to mention the fact that you’ll hold onto your best clients and be able to get new ones via word of mouth. So, in this post I’ll pass on the tips I’ve picked up that have helped me to build great relationships with my clients. It helps you provide solutions that will have the greatest impact. It helps you get to know your clients better. When you’re first getting to know a client, find out everything you can about them and their business. You want to identify what makes them tick – and it might not be what you expect. So if your client is a retailer, for example, they will value increased traffic to their eCommerce site and/or physical store, which is why they need you to develop a site that will help with that. But they’ll probably have other things that are important to them – why did they get into retailing in the first place? What do they sell and why? Do the products they sell relate to a passion or hobby that they have or a skill they value? If your client runs a bike shop, what makes them tick might be quite different from if they run a bookstore. Don’t just learn about what your client does now and has already achieved success in – find out what their long term goals are for their business and personally, too, once your relationship gets to an appropriate stage. Your client might want to expand their current business, they might want to create franchises, or they might actually want to move into something completely different once this business is established. If you know what motivates them, you can build a stronger relationship and help them to achieve their goals via their web presence. Clients have a huge range of levels of technical ability. I have some clients who are happy to create their own WordPress site, install a theme and plugins and create their own content and just hire me to improve the site and add extra touches they are unable to do themselves. I have other clients who have no technical ability whatsoever (one of my best clients confuses the code in a website with the codes you’d crack if you were a cryptographer). And I have plenty of clients who fall somewhere in the middle. 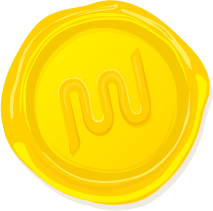 So for a client with no interest in or ability with WordPress, I can provide a full service including website development and content management, while for a technically competent client my service is limited to more specific enhancements to their existing site, or maybe to providing advice on SEO or social media. Talking to your clients in a way that they understand but that also demonstrates that you know what you’re talking about is just as important. You don’t have to bombard your clients with jargon and technical terminology to prove your ability. In fact, the exact opposite is true. A doctor friend asked me what WordPress was yesterday. She has no experience with creating websites so I had to explain WordPress in a way that didn’t mention content management systems, content or even blogging – I’m not sure how well I did! But some clients have done their research before they come to me and they want to talk about WordPress and about various aspects of their site. I can help them develop their skills further by pitching my explanations at their level and showing them even more. If you’re a coder (or a writer) like me, the chances are you enjoy sitting in front of your computer screen writing code, and you wouldn’t be too worried if you never got out and met real people. But there are plenty of web designers and developers who feel very differently; they got into the business because they enjoy working with people and providing solutions for them. Whichever personality type you are, it pays to spend time with your clients if you can. How you do this will depend on where your clients are: I have clients around the world as well as on my doorstep, so the way I interact with them varies. If your clients aren’t based far from where you work, I would always advise meeting them face to face. The initial meeting should certainly be face to face and then it’s good to meet them every few months for a catch-up. 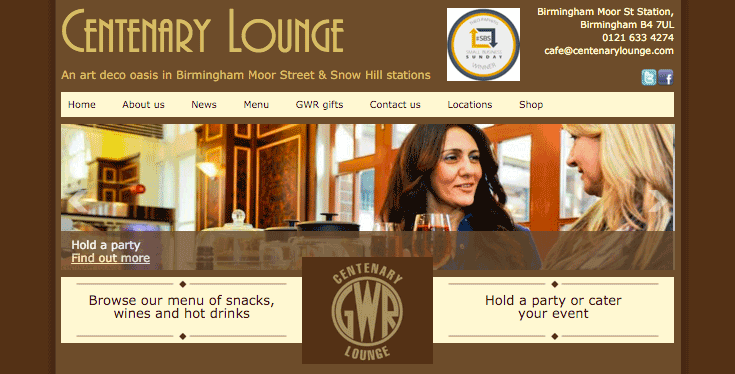 One of the first clients I took on was Centenary Lounge, and I still manage their website. The owner, Aasia Baig, has become a friend over the years and we regularly meet up for coffee and a chat. She’s also hosted various tech meetups for me at discounted rates. Spending time with the owner of my client Centenary Lounge has strengthened our relationship. If your clients aren’t based close to you, you can use Skype to chat to them, and not just about work. I have a client based on the west coast of the US (I’m in the UK) and when I’m working on their site, we tend to set up a Skype call. These chats last longer than they strictly need to, but we don’t just talk about the site. We chat about our holidays, our families, and what we’ve been doing. It helps to build up trust between us, it strengthens the relationship and it makes the Skype calls more enjoyable. And even if you don’t use Skype, you can use text-based services to build relationships. I use Trello to communicate with clients and editors around the world, and while most of our communications are fairly brief and to the point, occasionally we’ll chat. Comments become longer and more jokey, and it helps us get to know each other. Sometimes those conversations move over to email, which gives more scope to digress from the purely work-related topics. When you’re communicating with clients via text, take the time to build the relationship in your messages: ask how their business is doing, or about a conference you know they’ve been to, or a holiday they’ve taken. And offer up information about yourself too – tell them what you’ve been doing and share funny stories. Sometimes things don’t go according to plan. You might mess up and you’re worried that it will ruin the relationship with the client. In this situation it can be tempting to lie, or not to tell the whole truth. You messed up and you don’t want to diminish your customer’s respect for you by admitting to it. But the exact opposite is true. A customer will respect you more for admitting to your mistakes and fixing them than they will if you aren’t 100% honest. If your client is unhappy and you deal with the situation honestly and helpfully, converting them back to a happy customer, they will be twice as likely to tell other people about your great service. It’s safe to assume that they’ll also become more loyal and more likely to stay with you. So you get two wins: a more loyal, long-lasting customer, and twice as many word of mouth referrals (in fact you get more than twice as many as if your unhappy customer stays unhappy, they’re unlikely to give you any referrals). So be honest with your clients. Show them the respect of coming clean about your mistakes and working together to solve any problems. Clients pay the bills. They hire you to do a job for them, hopefully on a ongoing basis, and then they pay you for it. But if you want to build strong client relationships, sometimes it’s a good idea to do some work for free. This will build loyalty and make you stand out from your money-grubbing competition. I’m not talking about major pieces of work here: if your client needs you to redevelop their site then obviously you should charge for it. But sometimes clients ask me to do small jobs on their site which don’t take too much work and which I sometimes do for free. This often happens to me with clients who manage their own site content. A client might have problems with the formatting of a particular post – maybe they’ve copied some text from Word or from another website, and it’s introduced styling which messes up the normal design or layout of their posts. Fixing something like this is often a simple process of removing some extraneous <div> or <span> tags or editing the formatting of an image, and while the client could spend hours scratching their heads over it, it will take you five minutes. This is the sort of thing that you can do without charging and which offers significantly more value to the client (avoiding that hour figuring out what’s gone wrong) than the effort it costs you (five minutes logging into their site, finding the offending post and removing a tag or two). In fact, it would take longer to invoice than it does to do! I’m most likely to do this if a client has recently had some problems which were my fault (or at least which weren’t the client’s fault). A few years back I had problems with my hosting, which meant that most of my client’s sites were down for a day or two. Following that, I did small pieces of work for each of my clients for free where possible. It’s not only you who can do your clients favors: it can work the other way too. The Ben Franklin effect is a psychological phenomenon whereby someone who’s done a favor for someone else becomes more loyal to that person afterwards. It sounds counterintuitive I know – you’d expect to be more loyal to someone who’s done you a favor. But the reality is that when you do something for a person, you invest something in that relationship, be that time, money or resources. So once you’ve established a good working relationship with your client, ask for the occasional small favor. If your client runs a bookstore, ask if they can hunt down that out-of-print novel you’ve been looking for. If they run a coffee shop, don’t refuse their offer of a free coffee when you visit. If they provide financial services, ask for some financial advice (although just a small piece of advice, or you should expect to pay). Some web designers take this a step further and provide reciprocal services without any money changing hands. This can work well when you’re just starting out: one of the first sites I ever build was for a plumber, who gave me a hefty discount on my new bathroom installation. In fact, there’s a whole cashless economy in many cities: in the UK we have groups called LETS (Local Exchange Trading Schemes – catchy! ), which co-ordinate skills swaps between people. Building great client relationships will help your bottom line: happy clients will stay with you for longer and give you more work, and they’re also many times more likely to recommend you to other potential clients. But it’s not all about the money, despite what Jessie J would have us believe. Building healthy relationships with clients will make your working life more enjoyable and rewarding and might spill over into your life outside work. I’ve spent the last five years building up a client list that comprises people I enjoy working with and whose businesses I think are great. I enjoy working with these people because I like their company and it makes me feel good to help their businesses succeed. Some of them have become friends. As a result I look forward to working with my clients and I enjoy interacting with them, which makes my working life much better. It takes time, thought and effort, but in the long run focusing on building the best relationships you can with your clients is more than worth it. How do you build relationships with your clients? Do you have any great client stories? Or maybe your own tips for developing long-lasting working relationships? Let us know in the comments below. Nice article, I totally agree. Totally dig this writeup, thanks Rachel. Relationships with customers are all-powerful.